A bright spark on the Western Australian coastline, Perth has experienced incredible growth in recent years. Exciting new bars, dining, retail, entertainment, cultural and public spaces are popping up in all corners of the city, adding to the energy and the opportunities to explore and indulge. From fresh seafood and extraordinary salads, to local chocolate and fine artisanal cheeses, Perth has whatever you're craving. Loved for its restaurants, cafes and bustling street scene, the port city of Fremantle manages to be both laid‐back and cosmopolitan. 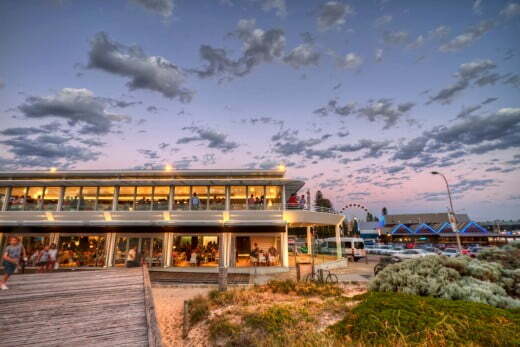 Here you can hunt down the perfect seafood platter, the ultimate expression of Western Australian marine cuisine. A great platter will include whole fish, octopus, prawns, mussels and squid, and you might also find crab, marlin, tuna and rock lobster. 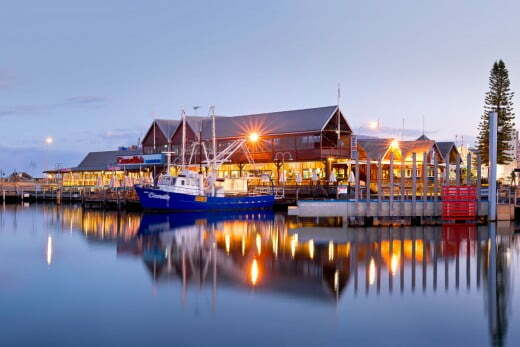 There's little distance between the fishing boat harbour and Fremantle's 100+ eating places, so you can count on very fresh seafood. The Indian Ocean is good to Perth's commercial fishing fleet, and there's little distance between the fishing boat harbour and Fremantle's 100+ eating places. You can count on freshness, as well as amazing variety. Less than 30 minutes from Perth is Swan Valley, where local energy goes into growing and creating wonderful food. You can visit coffee roasters, honey producers, ice cream cafes, olive oil producers, cider makers and breweries. High tea with all the trimmings is a Swan Valley specialty. 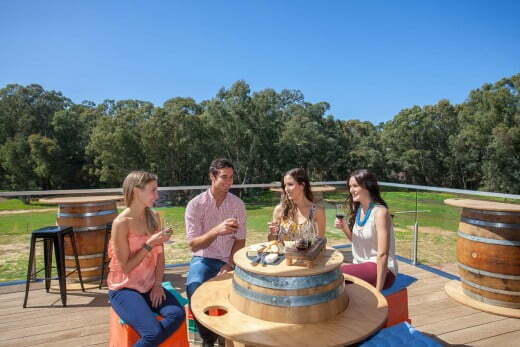 If you're into cheese, check out The Cheese Barrel at Olive Farm Wines. As well as a carefully curated selection of local and international cheeses, there’s a menu of Olive Farm Wines to match. Seasonal fruits, fresh bread and pickles are part of the experience. 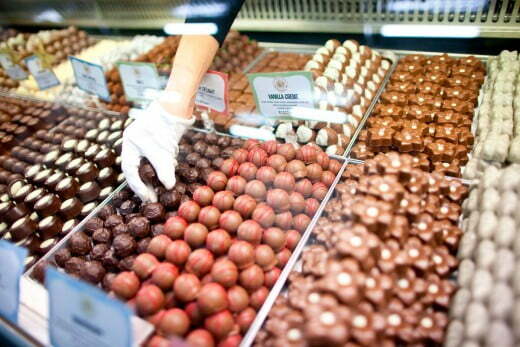 After all that cheese you might be craving a sweet finish, so head to Margaret River Chocolate Company for handmade truffles, milk chocolate caramels and chocolate coated nougat. This award-winning producer has been making churning out gorgeous chocolate for around two decades. There's a café on site and chocolate is definitely on the menu. If you're looking for an evening adventure that mixes up culture, beauty and delectable food, then the Twilight Hawkers Market is the perfect stop. Perth's original street foot market, it's held every Friday night 4:30pm to 9:30pm from October to April. Cruise around the huge array of food stalls on offer to sample flavours from every corner of the world, as well as classic Western Australian morsels. You can expect a live music accompaniment with your street food, which adds another dimension of enjoyment to the experience.